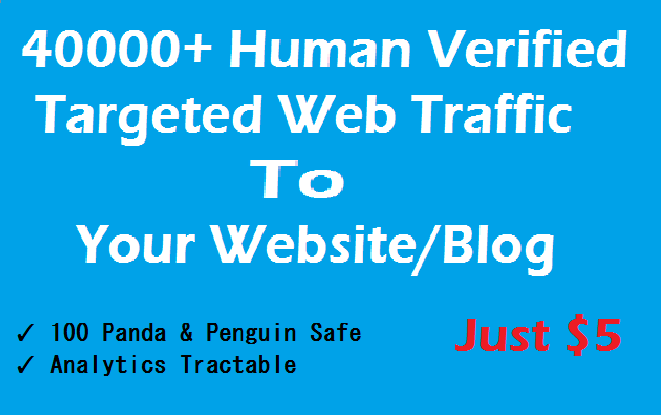 Traffic is the blood of your website.In This service, I will Give you Total 50,000+ Targeted (Any country) Web Traffic. ♦ I Don't Guarantee about sales, Sign-up, Op, conversions, etc...As 100% other sellers and service also can't promise about this.We can't force people action. ♦ Note: We highly advise to use the Gig Extra to be used for better and long results.